Taxi has become a convenient and popular transportation method in Vietnam in recent years. However, taxis are predominantly operating in big cities and urban areas where residents have higher living standards. Taxi services in Vietnam can be divided into two main types: “official” and “unofficial” taxi. “Official” taxi refers to the taxi corporations who have high and consistent quality at a reasonable price. They are credible, safe, apparent in calculating fee and somehow cheaper. The other type of taxi is “unofficial” taxi, which often belongs to individual drivers. The fact is that this type of taxi is poor in quality and services, unreliable and vague in fee calculation, or they don’t even have meters. Also, the safety of these taxis is a serious problem, as the “unofficial” taxi drivers tend to run rapidly and carelessly. 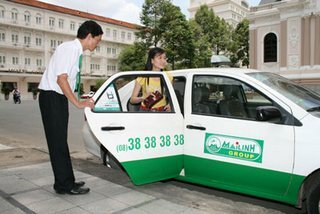 Mai Linh Taxi: This is one of the most popular taxi brands in all over Vietnam with cab in many tourism destinations. There services are safe and flexible with diverse taxi products such as Gia Dinh Taxi (Tel: 38.98.98.98), Mai Linh Limousine (Tel: 38.36.36.36) or Saigon Taxi (Tel: 38.23.23.23). Taxi Mai Linh often has the cover of two main colors: white and green. 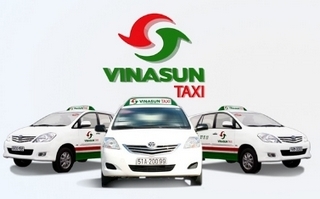 Vinasun Taxi (Tel: 38.27.27.27): a big taxi corporation in Ho Chi Minh City with more than 3,500 cabs and high-quality services. The company’s cabs can be recognized by the typical cover with the main white color, in addition with one red strip and green strip below. 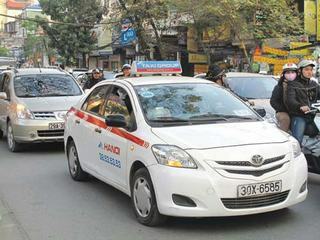 Hanoi Taxi (Tel: 38.53.53.53): One of the pioneers in taxi services from 1993. The cab of Hanoi taxi is painted with purely white color.